Ways your smartphone is ruining your life. Ever since I got my iPhone 5S I’ve been glued to it. It does everything and more. The camera is great, the applications are amazing, the games are addictive, the list goes on…After purchasing it I quickly became addicted and found myself using it more and more. I never had this kind of relationship before with my phone, even when I had my Blackberry, I appreciated it for what it was – a phone. The problem with the iPhone is that it has become so much more than a phone and consequently has become a huge, unavoidable part of people’s lives. Take my situation last weekend for example; I went to the South of Spain for a mini-holiday. Did I take a camera? No. Why not? Because my phone takes much better photos than my camera (which is already of very high quality). My camera has been completely replaced by my phone. The second thing to (almost) be replaced is my iPod. When I got my iPhone Orange offered me a free subscription to Deezer (a music application where you can download songs, not dissimilar to iTunes). For the first few weeks I couldn’t stop downloading and stopped using my iPod completely. If it wasn’t for the fact that my iPhone has a limited memory I’d probably have replaced my iPod permanently. Luckily I still use my iPod when travelling or working out so I have a good reason not to be glued to my phone, it’s just a shame that I’m glued to another electronic…is there no end to our dependence on electronics? I think the worst thing is the fact that people either pretend not to notice this addiction to smartphones or simply ignore it. 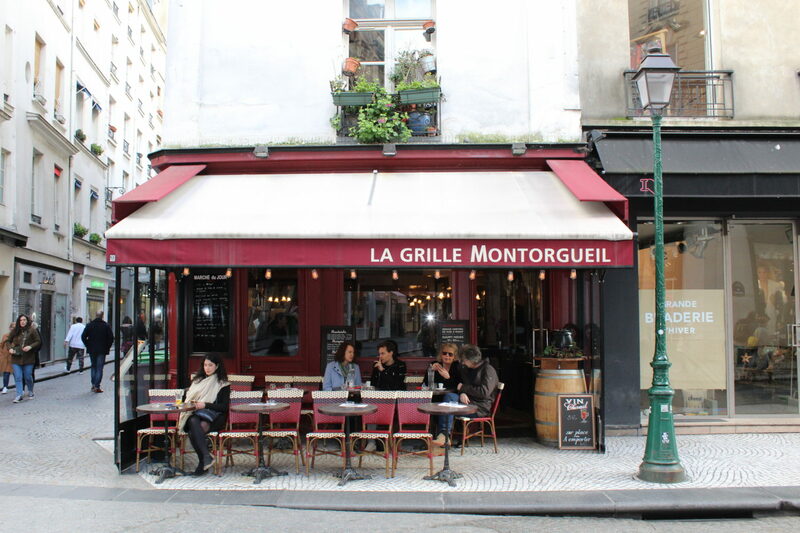 In Paris the addiction has spread like the plague. People everywhere; in the metro, on the bus, in the train, in the streets, in offices, in kitchens, in bedrooms, in gardens, in restaurants, in toilets and even on bicycles are using their phones. People are literally putting their lives at risk to like the most recent post on Facebook or Instagram. I don’t think there is anything worse than going to the bathroom in a public place and hearing the click click of the girl next to you texting or updating her status whilst peeing. Ugh. The situation is getting out of control. At parties, social gatherings, weddings, christenings, the birth of a baby, people are using smartphones in the most inappropriate places. If you need your phone at a social event is it boring? Or is it you that can no longer socialise in a real situation? Too used to socialising online you now struggle to make conversation, maintain situations with people unless their virtual, or feel unsure of yourself until you have the approval of others on social networks. No one liked my photo, no one liked my facebook status, does that mean I’m not interesting? We now seek social approval from people hiding behind their computer or phone screens, is that really what we want? It’s a worrying thought. I’m not saying I have never done this, in fact it’s the contrary. I’m a recovering iPhone addict. It was actually my other half that made me realise just how obsessed with my phone I had become. My phone was still fairly new when we first met so when I said it was just a phase and I’d soon get bored. F believed me and in all honesty I believed myself. Normally with any kind of new gadget I’ll use it excessively and quickly get bored. Unfortunately this didn’t happen with my phone. The problem with the iPhone is it’s evolving all the time. New, better applications are being created every week, something new to obsess over. My sister recently introduced me to a game which both of us couldn’t stop playing, it eventually caused arguments with F making me realise my obsession had gone too far. I was choosing to spend time on a game rather than appreciate the time I had with the people around me. REAL people.Imagine breaking up with someone over something so ridiculous…..! So why did you split up? Oh you know, the normal things, we were both working a lot and I couldn’t stop playing with my phone. 36% of people check twitter or Facebook after doing the deed. Is post-coital cuddling a thing of the past? We’re even putting our phones before our partners, whatever next? Luckily F knows that I wasn’t doing this intentionally, unfortunately it’s become simply a bad habit, that almost everyone has seemed to have picked up. Using, looking at, playing with or simply procrastinating on my phone has become second nature. And I know I am not the only one. I know people whose obsession is even worse than mine. Sad but true. How often do you go to dinner and see friends a) take their phone out of their pocket and put it directly on to the table or b) use their phone at the table whilst you are in the middle of talking, eating or drinking. Rude much?? When we were kids (and even now) mobile phones were forbidden at the table and if the land-line rang we would ask the person calling to call back later as we were in the middle of dinner. Now people will not only answer the phone at dinner but they will also check-in at the restaurant (or more ridiculously at the family home – just so you know everyone I am having dinner in my own home, shock horror!!!) They will take pictures of their food and upload them immediately to Instagram or Facebook waiting impatiently for people’s comments so they have yet another excuse to glance at their phone during the meal. It’s sad and shocking how we have become so detached from the life we are actually living, and subsequently so attached to the virtual life our electronics provide. Why aren’t we just enjoying the company we’re in? It’s an interesting question…why do we do it? Is it for social acceptance? Are we all sheep who feel that we must follow the crowd; we must have the newest iPhone and the best applications, the most visited Facebook page and the most creative pictures on Instagram? Are we so scared of being unpopular? Is this what we have become? I almost laughed out loud. People also often say…”But I didn’t know you had a boyfriend, you are not in a relationship on Facebook!! !” (Like Facebook is the only thing that makes your relationship official). I apologise if I haven’t put my entire life on Facebook, I know you are supposed to. However we are all guilty of some Facebook over-share. Everyone on my Facebook, so that’s 335 ‘friends’ of mine know where I was and who I was with last weekend. How did they know? Because I uploaded a photo and tagged my friend. Why did I do that? First and foremost because I was extremely happy to be on holiday and I wanted to share that with others but also to rub people’s noses in it (yes I am being honest). I’ve been looking at other people’s holiday photos for far too long, now it was my turn. I’m not saying that everything on Facebook is bad, there are things that we share for more sensitive reasons. Living abroad it’s difficult to always maintain contact with all my family and friends. Facebook makes it possible. I was able to share all my holiday photos with my friends and family in a matter of minutes. I won’t actually see my family in the flesh until August so using a social network is the best and fastest way of sharing my experience with them. It also can be automatically viewed by all my friends on Facebook, effectively killing two birds with one stone. Facebook allows you to keep up to date with friends lives; who are they dating, where are they working, are they going on holiday soon/are they on holiday now? Are they happy/sad/angry/hungry/frustrated/disappointed/excited/bored? You can learn a lot from someone’s Facebook page and if they use it regularly enough you can learn a huge amount. On the one hand it’s great because when you live abroad like I do it’s difficult to keep in touch with everyone back home and Facebook allows you to find out their most recent news. However this is also part of the problem. Facebook discourages actual, face to face communication. We are able to avoid any real contact with people and instead settle with virtual contact. Before you know it it’s six months since you heard your closest friend’s voice. One of my closest friends left Paris for Canada 2 years ago and although we speak almost every day we haven’t skyped or talked on the phone in all that time. Whatsapp has replaced our human communication. There are always positives and negatives to every subject but when discussing our addiction to technology it’s clear that the cons overwhelm the pros. Yes we need a phone, I can’t deny that, but WHY do we need to use it 24-7? Even on the train back from Cadiz I was surrounded by people on their phones. No one was reading, no one was writing, no one has any creativity anymore. The irony of the situation is that Steve Jobs created the iPhone because he was an incredibly talented, creative man but by doing so he robbed us of our creativity. To some extent he also robbed us of our ability to think independently. Everything we do has to be approved by others, we follow the trends, we play the same games, we use the same applications; we are sheep. Funnily enough as I started writing this blog a guy on you tube created a video exploring this issue. Our detachment from reality. It’s powerful and poignant and might make you think twice before picking up your phone. This video has raised a huge amount of awareness on the subject but is it really changing? Are people listening? 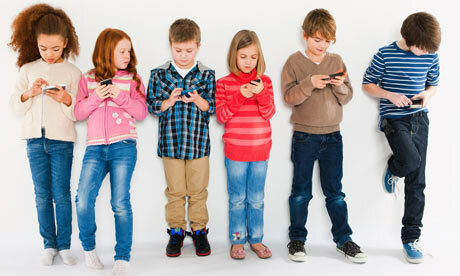 I feel concerned the most for the children that are growing up now, Generation Z as they are more commonly known, who are even more obsessed with technology. If they are not on an iPod, iPad, iTouch, iPhone, wii, Xbox, Nintendo DS, a computer or something else similarly electronic they aren’t happy. I know I’m generalising but it’s the reality for perhaps 80% of children nowadays growing up in the Western World. The sad thing is the parents often don’t stop it. When I asked two parents why their children were playing an Xbox game that was rated OVER 18 and was therefore incredibly violent they simply shrugged and said that all the kids were playing it. Their children were around 8 years old. I was gobsmacked. It was a sunny day, didn’t they want to be outside? 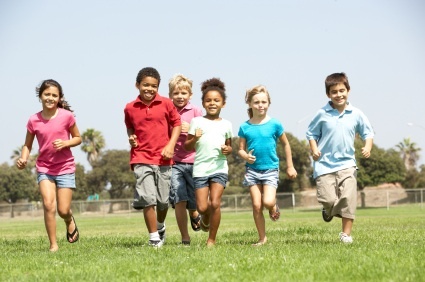 It was almost as if their parents felt they didn’t have a choice, if they didn’t let them play it they would be unpopular at school or they would play it anyway when they went to a friend’s house. Parents you DO have a choice please don’t forget this. I suppose people will criticise my point of view because I don’t have children so I ‘can’t understand’ but I have worked with a huge amount of children and I understand that being a parent is NOT easy. But giving your child an electronic device to simply have some peace and quiet is cowardly and frankly lazy. Your children will not learn from violent games, or mind-numbingly stupid applications like angry birds. Your children will learn if you read to them, teach them, cook with them, take them outside, play football with them….anything but give them an electronic. And it definitely shows in our society. There was a lot less bullying when the internet wasn’t used by so many teens and bullying rarely led to suicide which we have seen countless reports of in the last few months. Bullying was dealt with at school by teachers and peers, cyber-bullying was thankfully didn’t exist when I was a child. I feel incredibly lucky now to have grown up when I did. I always played outside and spent my childhood on a skateboard, on a bike (with the scars to prove it), in the garden or in the summer house. My father bought a summer house for my sister and I, filling it with games and toys; barbie dolls, sylvanian families, spades, buckets, water cans, books, a plastic kitchen, Jenga, teddy bears, a paddling pool, you name it we played with it. Some people might say we were spoiled but I don’t see it like that, we were children who were incredibly loved and my father made sure that we learnt as much as possible and spent as much time outside as we could (weather permitting – we grew up in England after all). My sister and I had the biggest imaginations, when it rained we would pretend that the summer house was a boat and pack everything inside before planning out how we would survive at sea. When we were inside we would build a den from sheets and pillows, imagining that we were far away from our 3 bedroom house in The Orchard. We had an imagination, we had creativity, we had so much energy, something children now rarely have. I’m worried for my generation but I’m even more worried for future generations. As well as having our creativity sucked out of us we are also: losing our connections with people by allowing our relationships to become purely virtual, missing important moments in our lives due to being glued to screens, not enjoying life for what it is and has to offer because we are too distracted by our phones and lastly we are not living in the present! What is wrong with us? We managed before, we can manage again, can’t we? I feel some people are starting to understand just how bad the obsession with technology has become. F noticed it a long time before me which is ironic as he studies IT engineering and has to spend a lot of time using electronics. The rest of us have a choice and we need to choose wisely. Since finishing this blog I have realised that I MUST make a conscientious effort NOT to use my phone so much. It’s difficult because there are moments when you need it, when I want to call my grandmother in the UK to say happy birthday because I want to hear her voice and for her to know that even though I am far away I still love her. There are moments when we go for dinner and I want to leave my phone at home but I wonder…what if something happens? What if my family need me and I don’t pick up the phone? Perhaps it’s because I live abroad that I get this feeling, or perhaps everyone gets it…who knows. We just have to make an effort not to lose touch with reality. If you need to send a message during your lunch hour, send it, but then put your phone away and enjoy the company you are in. 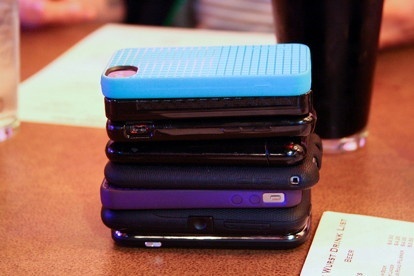 If you go out for dinner try phone stacking a new craze which insists that everyone puts their phone face down on the table and the first person to check their phone pays the entire bill. Good idea huh? Life has to change, life has to progress but get back in touch with reality before it’s too late. Brilliant post Chlo. I too am guilty of this and am trying to make a concious effort to leave my phone alone. So difficult though! I even look at my phone in the bath! Madness! Thank you Laura 🙂 it is so nice to have some comments! Yes we are all obsessed, including me! Admitting it is the first step.